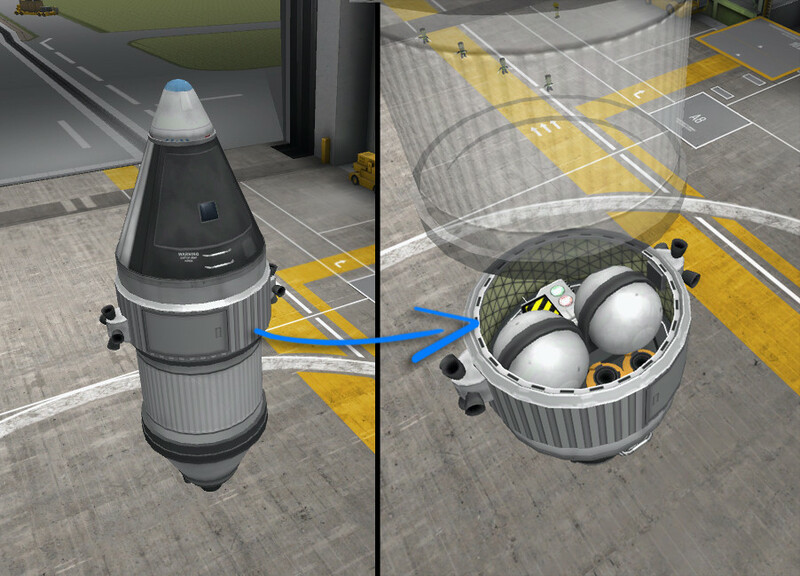 However I tried making my KSP rockets as smooth looking as possible, it is very hard, you always need to put a tonne of stuff on top of the hull, be it RCS tanks, mechjeb, life support packages, batteries..
And then, I noticed something quite astonishing that I never did before when dissecting real spacecraft designs.. Ya’ see.. Real spacecraft use something they call “service compartments” aka “service modules” or something Russians would call “instrument agregat”, an unpressurized module where they store all the stuff we would otherwise put on the top of our hull! So I thought.. WAIT A MINUTE, Y U NO IN KSP?? So then, I came up with the simplest design I could. I call them..
It’s so short! It’s useless! I’ve modeled it so that spherical RCS tanks could fit inside. 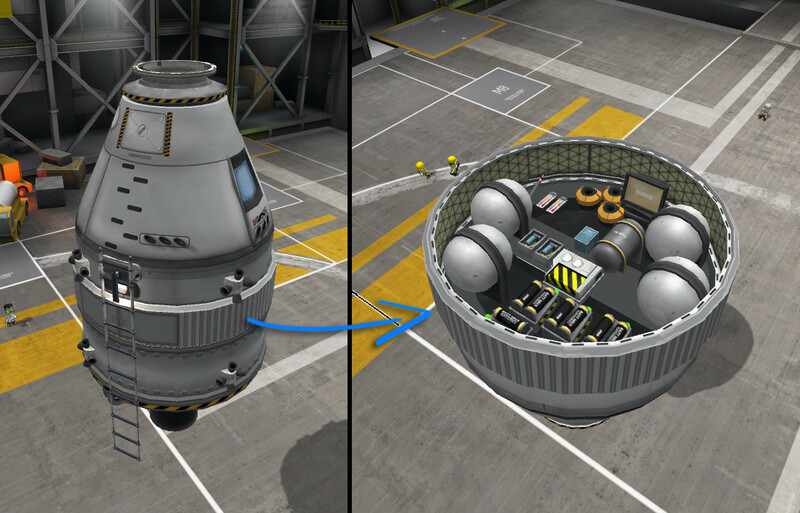 Most of the other stuff like mechjeb, flight engineer etc, are not bigger than spherical tanks and they can all fit inside.. Together. There seems to be a door, but I can’t open it! You can only open the door manually during EVA (no servos I’m afraid, to keep it reliable and simple), so you can pick up or leave bags or KAS stuff you store inside. Also useful when transferring fuel from the tanks inside (you could do this on the other hand by zooming the camera inside the compartment, although this might be wonky and frustrating). There are some texture quirks, so I might do an art pass later on. I don’t plan adding more parts. 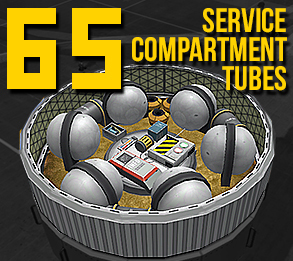 The tubes appear first in “general construction” in the Tech tree cause before that, you practically have nothing to put inside. The firespitter.dll is bundled in the pack. If new Firespitter versions appear you should freely overwrite the old one. Very cool. Waiting for the .25 version. Love the MOD! so handy for those OCD people like me, found it purely by accident, but as soon as I saw it I knew I had to have it! only other question - which mod are these bags you mentioned? This has proved to be a very useful and important mod for me! Thanks for making! 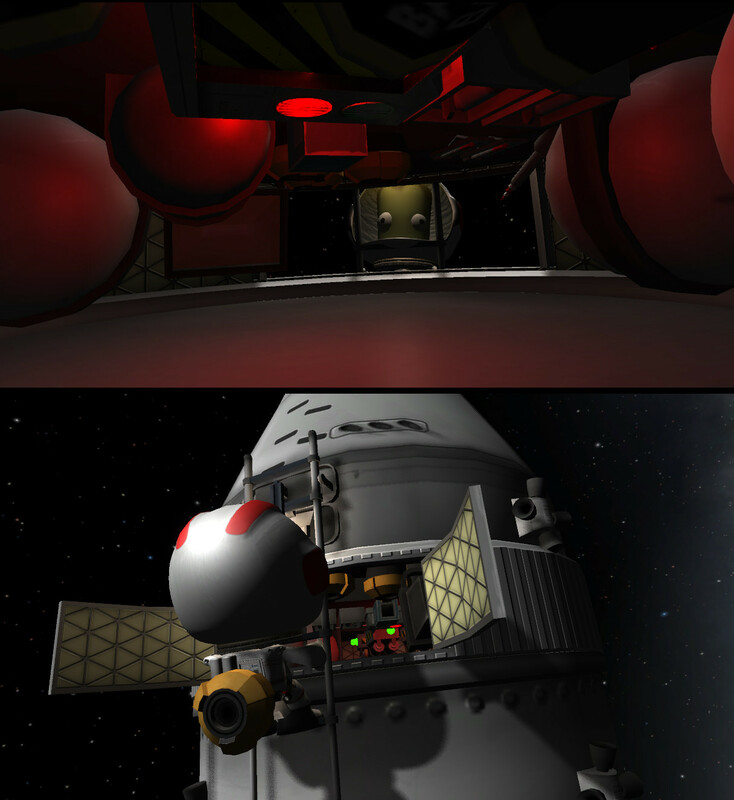 But it does bother me that I can't open the doors if they are on a space probe. Thank you for making this. Being OCD and @n@l retentive myself, it bugged me to have all that junk hanging on the outside of my ship. Thanks to your mod, no more. Only one small quirk though. I cannot determine the status of the contents. 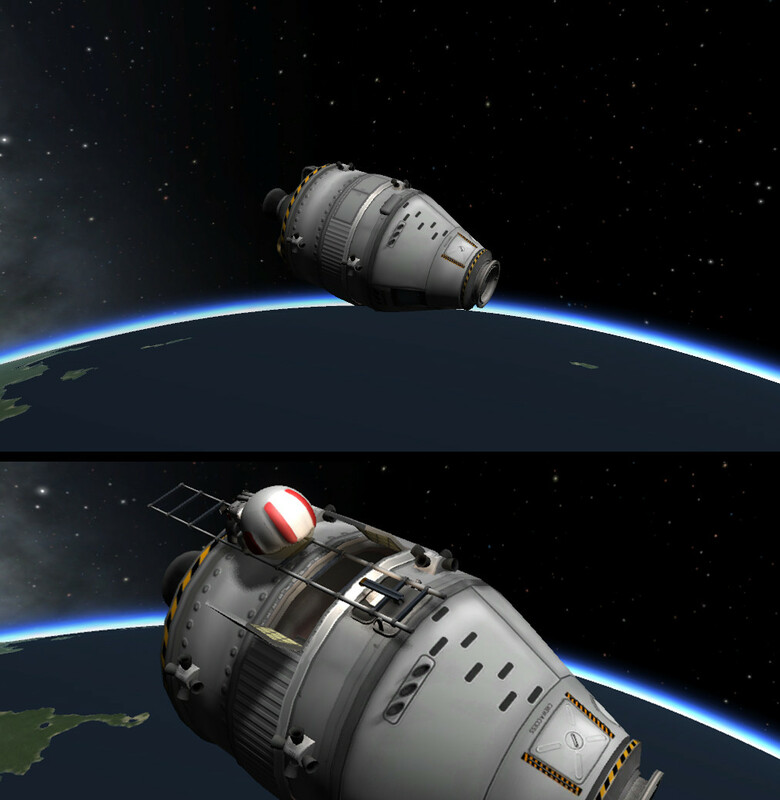 That is, if it contains an RCS tank,during EVA, after opening the service module and right-clicking the now-visible RCS tank, it does not show how much remains. Alas, a small price to pay. Must have! it's really great addition espesially since there seem to be a lack of compartment bays to put those odds and ends. altho, having the note about opening the door in EVA should be more prominent!